At xiaomitoday, we’ve compiled the list of Best Xiaomi Mijia Products that will just sweep you of your feet. We will be doing intense research every week and will be updating this list, thereby making sure to present you the latest and greatest picks. Xiaomi is literally making everything these days and we absolutely love them. 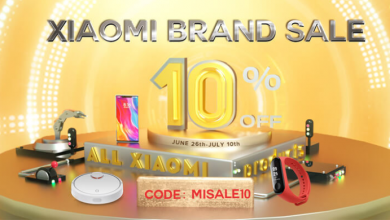 This list curates the best xiaomi products that will be worth every penny! 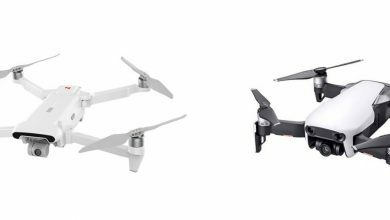 We would also like you to know that by using our buy links to purchase any of the following products on Gearbest. We may be rewarded with a tiny commission although the choice is left to you. Kindly note that these products aren’t ranked and will be updated every week. So don’t forget to bookmark this page for weekly updates on the Best Xiaomi Mijia Products! 1) Xiaomi Mijia Camera Mini 4K: It’s a 30FPS Beast! Bringing the features made available in other action cameras at a 200$ price range, the Xiaomi Mijia Camera lowers the rate for such capabilities to a sub 150$ payroll. It acts as a handy device to capture memories in slow-motion, fast shooting or time-lapses in picture qualities up to 4K. 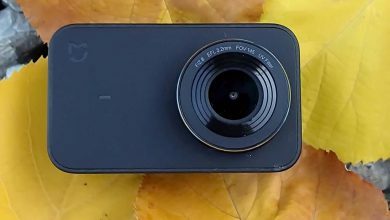 The Xiaomi Mijia camera brings about six-axis EIS on a 2.4-inch touchscreen camera equipped with 7 glass lens that supports 4K video format at 30 frames per second. Fitting into your pocket, the Xiaomi Mijia Camera is ready for any camera challenge thrown in its way. The extensive functionality provided by the device even in such a compact size makes it a crowd pleaser. The various modes of the camera allow it to be used for capturing all kinds of memories ranging from outdoor sports to deep-water probing and much more. One could say that the experience of including good quality cameras in their smartphones has helped them to develop such an amazing product, but more than that, what makes this one of the best Xiaomi Mijia products is the general Xiaomi benchmark. Delivering lovely features at a low price makes this one of the top non-smartphone Xiaomi products. Buy Xiaomi Mijia Camera Mini 4K Action Camera for just $96.99 ! 2) Xiaomi Mijia MJYD01YL Sensor Night Light: Pleasing Aesthetics! Night lights are found plenty in the household market. But the faint balance between brightness and the subtlety needed at night is something that’s difficult to find amidst all these choices. This is where one of the best Xiaomi Mijia products step in. The Xiaomi Night Light comes with a minimalist design and is quite appealing to the eyes. One pleasing aspect of the device is that it doesn’t come with much technical difficulty to be set up. One particular that most night lights fail to achieve is the control over how bright the light is. The Xiaomi MJYD01YL has a default setting and a dimmer one as well. The Xiaomi MJYD01YL lights up whenever motion is detected close to it. The design of the MJYD01YL results in a pleasing light that doesn’t have a harsh effect on the eyes. It is in the shape of a ring and has a subdued effect that marks its presence, but doesn’t exert any dominance in a dark room and disturb people sleeping in the room. These simple aesthetics on the MJYD01YL pushes it not just on to a top position among the huge variety of night lights in the market, but also amidst the top Xiaomi Mijia products available in 2019. Buy Xiaomi Mijia MJYD01YL Sensor Night Light for just $11.99! 3) Xiaomi Mijia Dome Home 1080P IP Camera: You can sleep soundly! Buying security cameras is always a tense task. Finding a product that doesn’t have any malfunctions and doesn’t give rise to blind spots that can be exploited by intruders are points to ponder when making a purchase in this category. The Xiaomi Mijjia 1080P WiFi Camera has a pan-tilt-zoom motion that eliminates almost all possible vulnerabilities and it can store more footage into the inserted micro-SD card due to the x265 highly efficient video coding technology used. 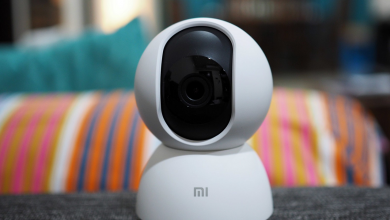 The night vision recording which is quite good at its price range is just the winning thing that cements the position of the Xiaomi Mijia 1080P camera as a force to be reckoned when checking for home security cameras at its price range. Stores a lot of recording at same amount of space. Buy Xiaomi Mijia 1080P Dome Home Camera for just $41.99! 4) Ninebot Segway ES2 Scooter: Good Looking Xiaomi Mijia Scooter! Something that pulls adults into a nostalgia that kids can still understand and relate to is a scooter. If not in the exact form, but the thrill is something similar to skateboards roller skates and other similar wheeled modes of transport. Such forms are enjoyed by people from all age groups. The Segway ES2 has a basic battery that allows for 25km runs, while an additional battery to add 20kms on to the track is available on additional purchase. Navigating through tough terrains are smooth with the dual shock absorbers made available on the front and back. The top-grade rubber used in the tires also supports in that aspect. Being a wonderful alternative for the heavy burning of fossil fuels and not a hassle on daily commuters, the ES2 rightfully earns a position on any lists that contain the best Xiaomi Mijia products. The ES2 is innovative as well as eco-friendly. Can drive up-to 25kms in a single charge! It takes a quite a lot of time to get recharged. Buy Ninebot Segway ES2 Folding Electric Scooter for $539.46! 5) Xiaomi Mijia FREETIE Sports Shoes: A comfort that your foot deserves! If you tell a random person on the street that Xiaomi has stepped into fashion, or more specifically footwear, their reaction would be just like you expect. “You’ve got to be kidding me.” But fortunately, that isn’t a joke and they’ve actually started dabbling in footwear with their all new Xiaomi Mijia Freetie Shock-Absorbing Shoes. Attempting to come out with a design that can be used for all occasions combining comfort with a presentable design, the Freetie does much more than that. With a comfortable design that is appealing to the eyes on all occasions, the Freetie is a dream entry for any company into the footwear market. The material used in giving a seamless stitch and a non-slip pattern on its sole gives rise to a few amazing features. It is waterproof and provides a good grip. The only problem is that this product is only available online and finding the right fit could cause a hurdle. No reference at a physical store. Buy Xiaomi Mijia YouPin Shock-Absorbing Shoes for just $56.99! 6) Xiaomi Mijia Automatic Soap Dispenser: Stay Clean, Stay Healthy! Using devices that are meant to simplify lifestyles have a habit of making things even more hectic with their maintenance and the constant malfunctioning. The next item on the best Xiaomi Mijia products list is a device which actually eases a simple task rather than amplifying the work with its maintenance. The Mijia Automatic Soap Dispenser is a simple product that can find its place in any bathroom. It works with a motion sensor that employs the foam in a swift 0.25 seconds after detection. The amount of soap employed isn’t a wastage because the ratio of air to soap is reasonable and efficient for washing the hands. The dispenser is also water resistant and it doesn’t require any maintenance. The container is transparent to allow users to gauge the amount of soap left. Buy Xiaomi Mijia Automatic Induction Soap Dispenser for just $36.00! i12 vs i10 TWS: Which is the Best Airpod Clone? i10s TWS Airpods: A Clone that Impressed me!